Vertical carousels , Horizontal carousels , and Vertical lifts from Megastar are a specialty of HD Files. 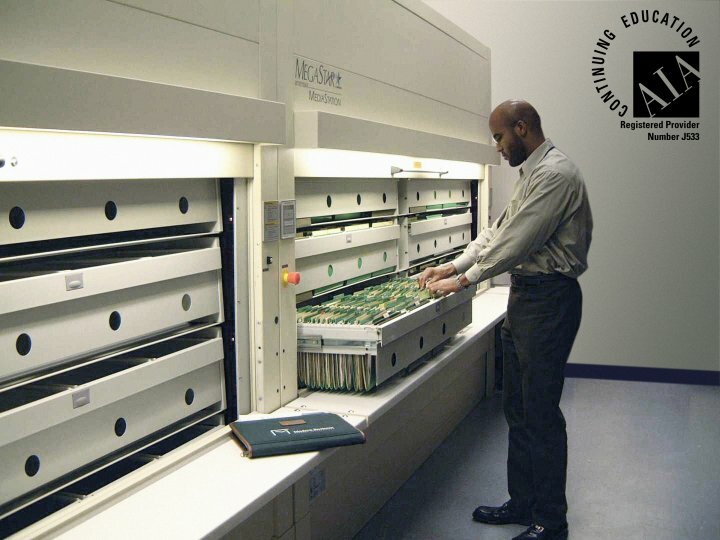 Megastar Systems is a world leader in providing high density, productivity enhancing, ergonomically designed automated storage and retrieval systems for offices and institutions as well as manufacturing and warehousing. 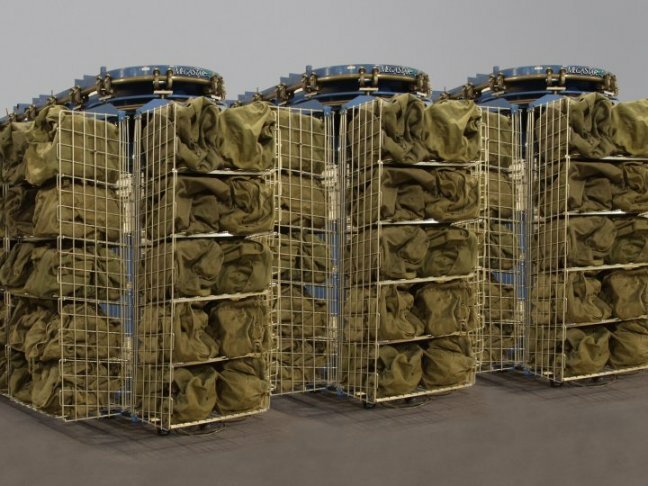 MegaStar Systems product line has been developed from the world’s leading storage and retrieval systems manufacturers. With thousands of installations throughout the world, MegaStar Systems is dedicated to creating space savings, and productivity enhancing ergonomic solutions. MegaStar Systems has the only ADA compliant system. This system allows all organizations in the private and public sectors to meet ADA legislation, and help protect themselves from future legal issues. 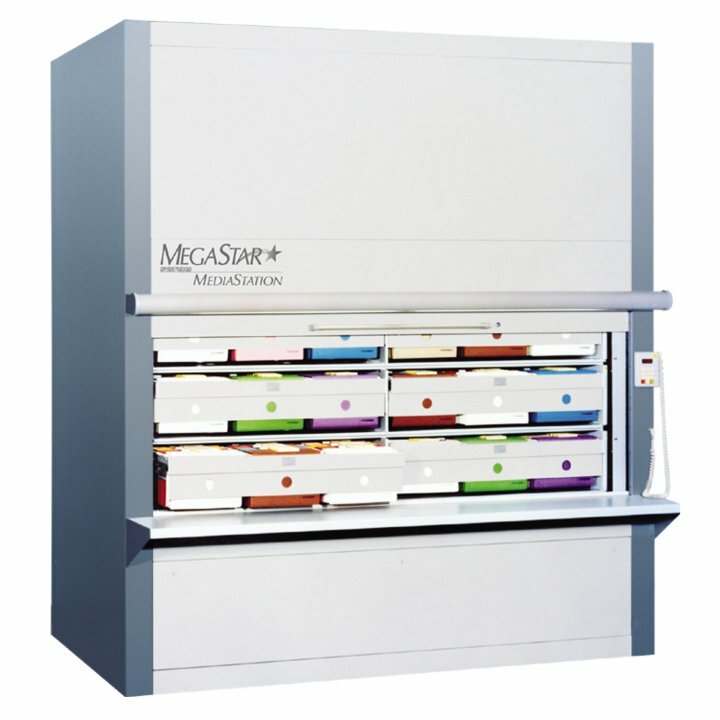 The MegaStar Systems product line includes MediaStation Electric Lateral Files , MegaStation Vertical Carousels , MegaLift Vertical Lift Modules , and File and Inventory Management Software. 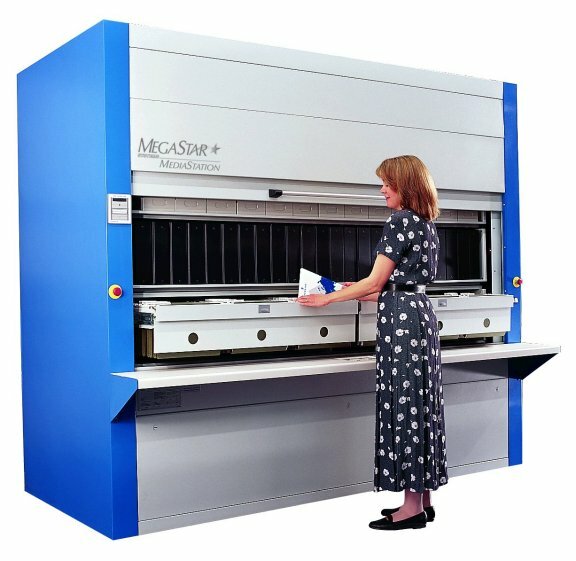 What are Vertical Carousels, Vertical Lifts, and Horizontal Carousels? 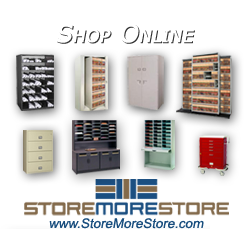 The MegaStar MediaStation Electrical Lateral File System is a series of vertically arranged rotating shelves controlled by an electronic keypad or software. Some office applications of the MediaStation are medical/dental, insurance, legal, general office, library, architectural, and municipal. 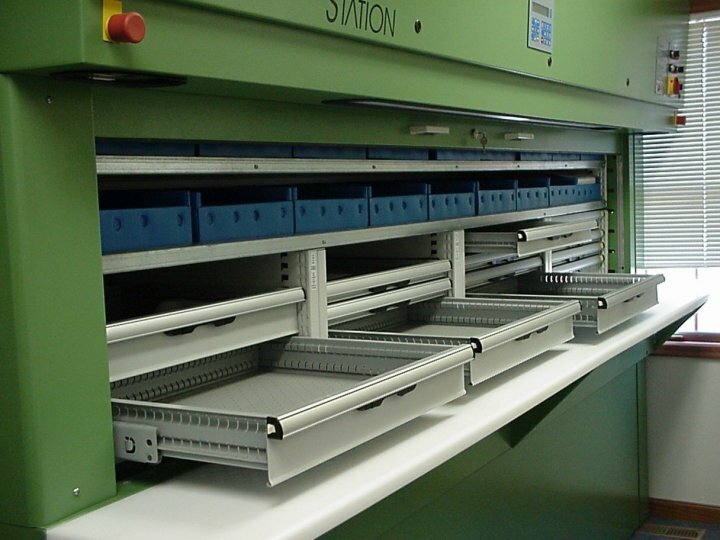 The MegaLift Vertical Lift Module is an enclosed system of vertically arranged trays, an ergonomically designed extraction platform, and computerized controls. Items are automatically brought to the operator, eliminating wasted walk and search time. Industrial Applications for this product are manufacturing, tool and die storage, electronics, automotive, retail, e-commerce, mail order, aerospace, printing, and medical. 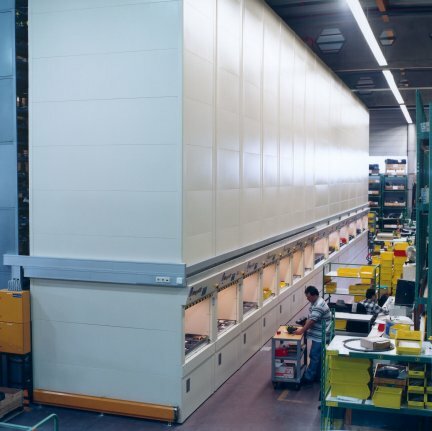 The MegaStation Vertical Carousel is a system of vertically rotating shelves that move up and down along a tracking guide, delivering stored items to an operator at an efficiently positioned work counter, eliminating wasted walk and search time. Ergonomic design allows items to be delivered within the user’s easy reach, minimizing bending, reaching and lifting that reduces picking efficiency and can lead to on-the-job injuries. Industrial applications for this product are: manufacturing, automotive, tool storage, warehousing, e-commerce, distribution, retail, electronics, pharmaceutical, refrigerated and freezing storage, hospital/medical. The FastPic inventory management software improves speed and order picking accuracy in manufacturing, warehousing, distribution, and fulfillment applications. 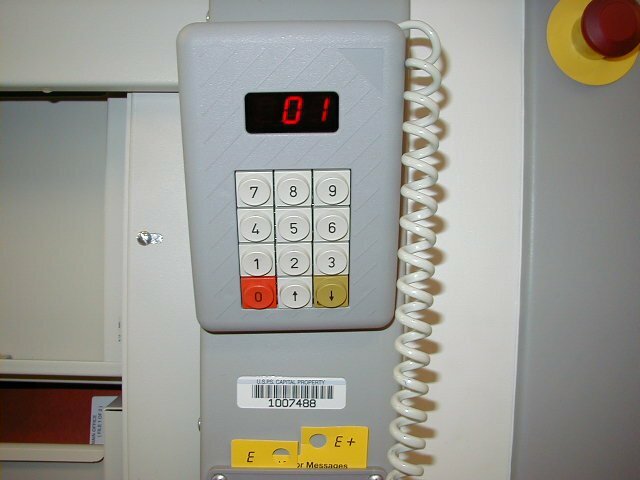 It’s features include: bar code scanning, paper pick lists, multiple work zone management, and continuous batch picking. FastPic Office Records Management Software improves the efficiency of folder storage and retrieval operations while increasing filing accuracy and accountability.